Website, Mobile App, and Custom Software development. Welcome to the latest Mike Grossman Consulting newsletter! Each month I cover a wide range of software and hardware related topics including suggestions based on my favorite new discoveries. This month I discuss “cutting the cord” and how big cable companies are losing customers to internet streaming services and little known free over-the-air broadcasts. • a high-speed internet connection (because streaming TV and movies can take up a fair amount of bandwidth. • a way to stream the digital content to your TV. If you don’t have a smart TV then you need to find a way to stream TV shows and movies to your TV. My favorite device for this is the Amazon Fire TV Stick. Simply plug it into your HD TV, connect it to your WiFi and then you can start streaming. The Amazon Fire TV Stick lets you download apps like Netflix, Hulu, and more. Also, if you’re an Amazon Prime member, the Fire TV Stick lets you seamlessly watch a huge selection of free movies and TV shows through Amazon Video. If you want to stream TV shows and movies from your computer to your TV then you can use Google Chromecast. This device allows you to mirror your computer screen onto your TV. 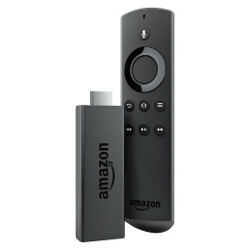 If you go with the Fire TV Stick you can rent new movies through Amazon Video. Renting new movies on the Google Play store is your best bet if you own a Chromecast. On both services, movie rentals range from $3.99 to $14.99 for HD movies. My favorite way of streaming live TV to my living room is through DirecTV NOW. The service offers several subscription packages ranging from $35 per month for 60+ channels to $75 per month for 120+ channels. Also, for an extra $5 a month, you can get HBO or for $8 month you can get Showtime. 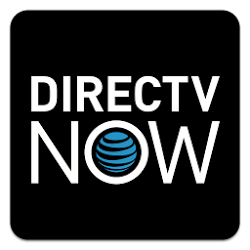 If you use the Amazon Fire TV Stick then you can download the DirecTV NOW app and stream directly from there. Also, if you pay the extra $5 for HBO then you get to access to the HBO GO app which has a huge library of original tv shows and new release movies. You can download the HBO GO app directly on your Amazon Fire TV Stick and watch from there. Believe it or not, free HD TV is available in most major cities. All you need is an HD TV antenna to receive the broadcast. 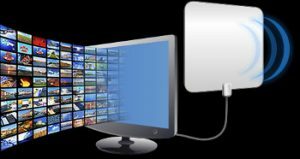 HD TV antennas are relatively cheap but they’re not extremely reliable. You need to position the antenna near a window and in bad weather, they might not work perfectly. Regardless I suggest trying an HD TV antenna. You’ll get local TV in HD for free! Does your business have a mobile app yet? Let us create one for you. Sign up by November 30, 2017, and save 10%. Contact us now for a free consult. Contact Mike Grossman Consulting now to discuss your software project! We offer a free consultation and price quote. Copyright © 2016 • Mike Grossman Consulting • All rights reserved. • Private.